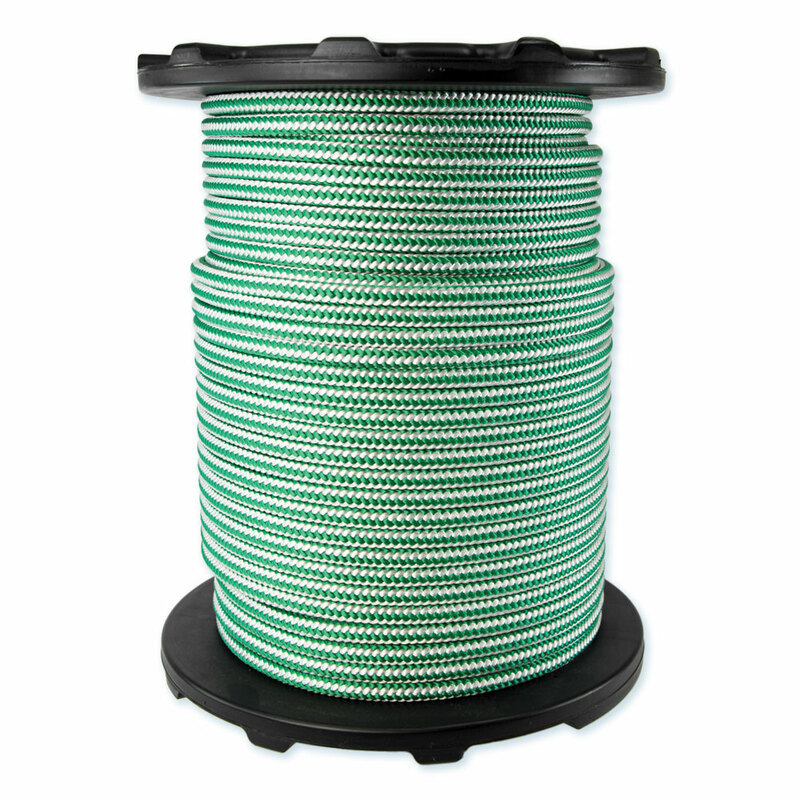 Ascender 16-strand climb line is composed of a braided polyester cover over a nylon core, which ensures the rope will not collapse under use. This high-quality line is firm enough for all climbing techniques, low stretch, spliceable, and offers good grip. WesSpur stocks Ascender in green/white pattern. 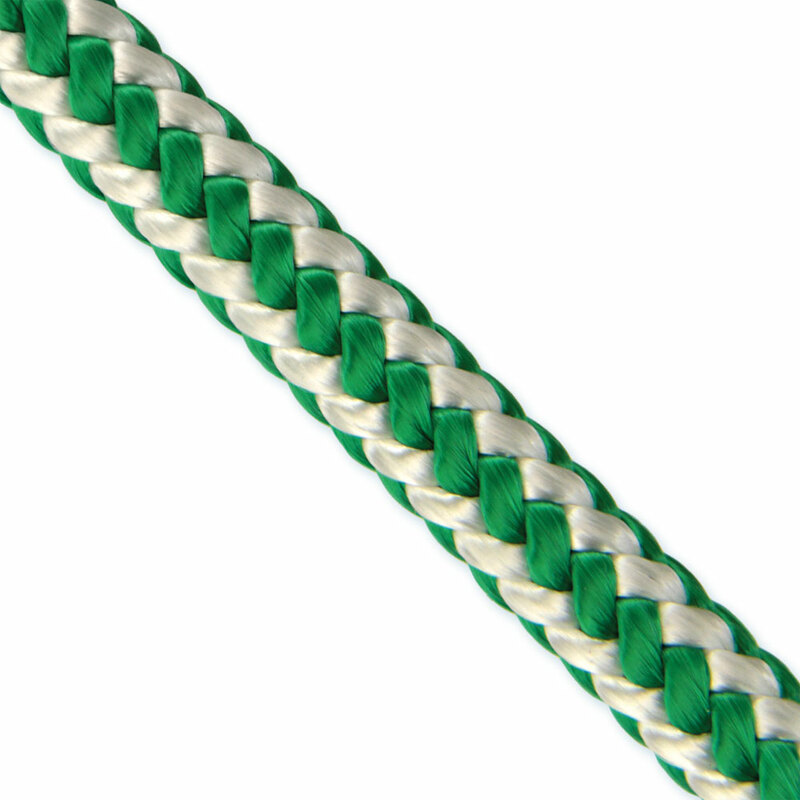 Ascender rope meets ANSI Z133-2017 standards.